We arrived in Brighton on a rainy Friday evening, via the Southern train service from Clapham Junction, in just under 45 minutes. The Jurys Inn Brighton is located slap bang next to the train station, which after a (albeit short) train journey with the kids, is a godsend. We were greeted at reception by friendly front desk staff who checked us in quickly and without fuss. We stayed in room 519, a family room on the 5th floor. The receptionist informed us that we were allocated this room because we wouldn’t be disturbed by guests arriving late into the evening, which we thought was very considerate. The family room contained a good size double bed, a single bed and a cot which all fitted nicely into the room without making it crowded. There was still room to move around. easy access to the bathroom and 2 extra chairs. The room featured a large, soundproofed window overlooking the city and the impressive architecture of the train station (opened in 1840). Our room had a kettle, tea and coffee ingredients, a good sized desk, a 22″ Samsung LCD TV (with full Freeview), and plenty of tumblers for drinks etc. Unfortunately the room didn’t have a fridge, so we had to keep buying milk for the baby which was the only downside. The bathroom was furnished to a high standard, with a good sized bath and power shower. Hot water was available at all times, and the shower temperature was easy to control. There were plenty of good sized towels, all clean and fluffy. Wifi is available throughout the hotel, and came included in our room rate. We were able to connect an iPad and an iPhone before being told we’d reached our device limit for our room. 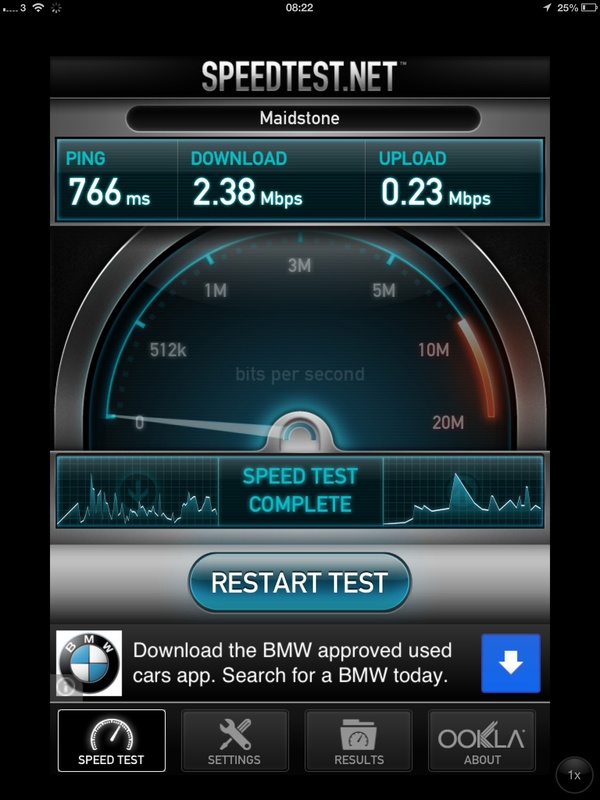 Download speeds averaged 3-4mbps, and were able to stream Cbeebies via BBC iplayer without noticeable buffering. Each room also has an extendable Ethernet cable located by the desk for connecting a laptop, for example. Breakfast was included in our stay. Always a great idea if you are planning a day out and need a hearty meal before you venture out into the cold. Breakfast is is served daily between 7:30am and 11:30am in the restaurant. There are traffic lights notices around the hotel which tell you which times are the busiest and quietest in the restaurant. 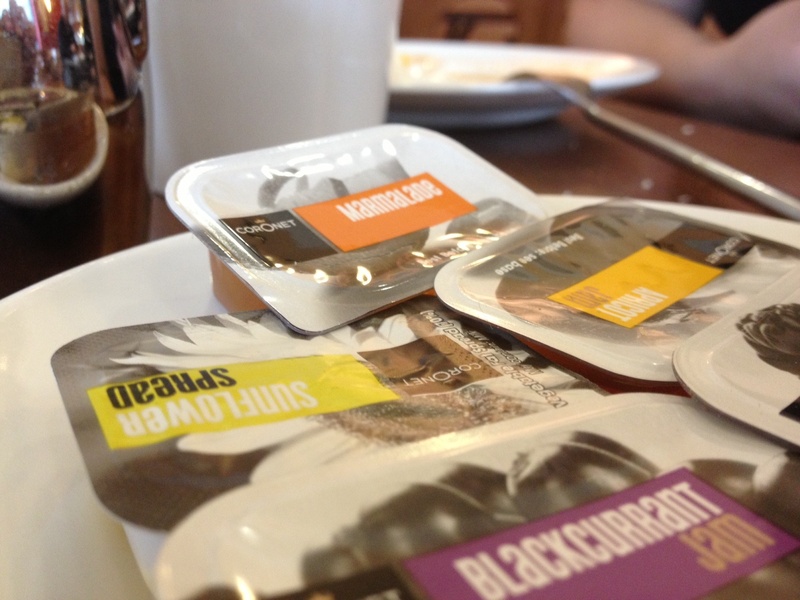 The Jurys Inn serve an excellent selection of all things breakfasty, one of the best we’ve ever encountered. There is a choice of cooked breakfast (good quality sausages, bacon and eggs etc), cereals (cornflakes, all bran, Cheerios etc), continental (cheeses, hard boiled eggs etc) and a nice selection of fruits which incidentally were very fresh and nicely laid out. The breakfast ingredients were continually replaced so everything was consistently hot and fresh. As well as this bountiful offering, the Jury’s Inn also has a rather novel toast maker which toasts your bread to perfection in (I timed it) less than 30 seconds. No solid, dry toast that’s been hanging around for hours. Tea, coffee, fresh orange juice, water etc were also served along with a good selection of whole grain and white rolls (which were all box fresh). There were plenty of staff in the restaurant, clearing up and on hand to assist with a highchair or spilt milk. Brighton is fantastic for pretty much everything. High street shopping is available in the town centre, as well as a wealth of independent shops, coffee shops, bars, restaurants and pubs. As if this wasn’t enough, there is the seafront of course. Our daughters loved playing at ‘the best park in the world’ which is on the beach itself and houses an adventure playground, a huge paddling pool, basketball courts and a sandpit. Plenty of coffee shops line the sea front so you are never short of a place to get that all important cup of coffee. 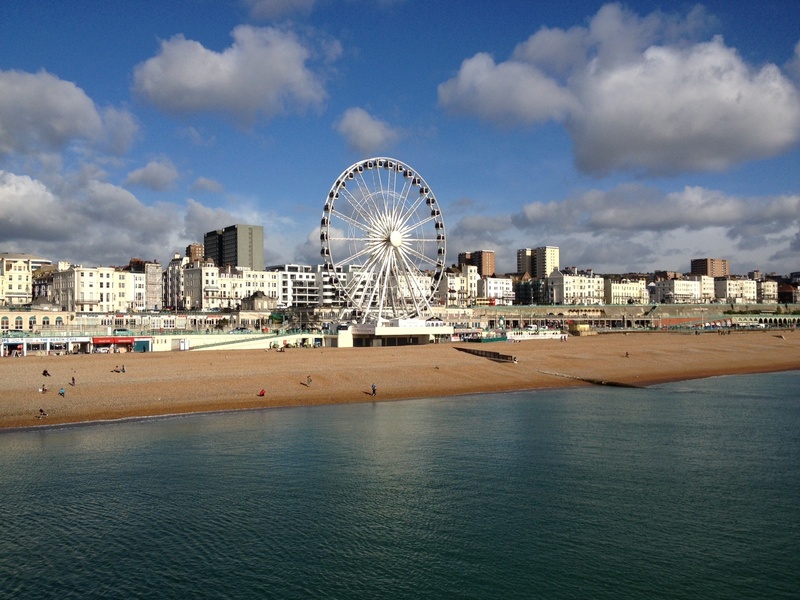 Brighton is also home to ‘the pier’ which has an assortment of sideshows, rides, slot machines and games for children and adults alike. There are two fish and chips restaurants and three pubs towards the end of the pier. All of these establishments are family/child friendly, which is a nice change in the UK generally. Whilst we didn’t eat a main meal at the Jury’s Inn, we ordered some spicy Chicken Wings which came with a blue cheese dip – and were delicious. They used good quality ingredients and everything was presented nicely. All items on the menu were reasonably priced, with a good range of British classics, Steaks, salads and sandwiches. There is also a children’s menu available with a great selection of dishes. The Jury’s Inn also stock a good range of good quality wines, priced fairly. We enjoyed a bottle of Chardonnay for less than £15. This was a refreshing change to some other hotels in a similar market. 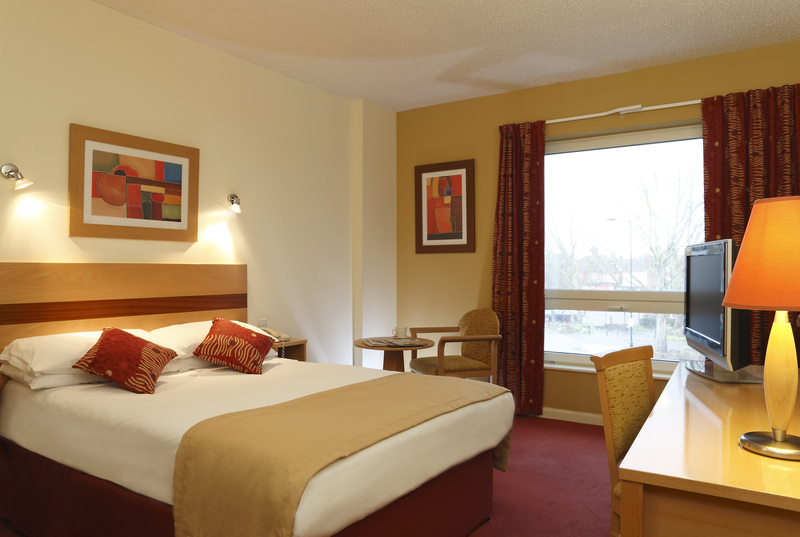 The Jurys Inn is perfect for an affordable weekend away with the family. Centrally located, you can opt to travel by train, foot, bus or cab with ease. Facilities are very good and the friendly staff made such a difference to our stay. We were very impressed with the space of our room and all round quality of the hotel and would not hesitate in recommending The Jurys’ Inn to other families.